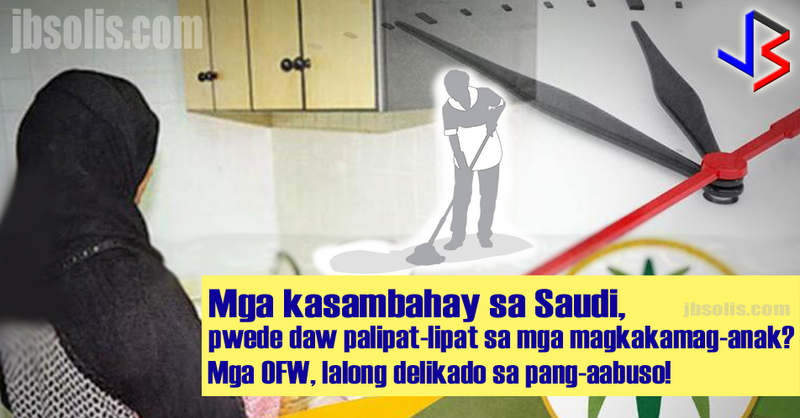 The Philippine Overseas Employment Administration (POEA) has allowed foreign recruitment agencies (FRA) in the Middle East to hire more Filipino household service workers (HSW). The POEA cites the increasing demand for "kasambahays" abroad. 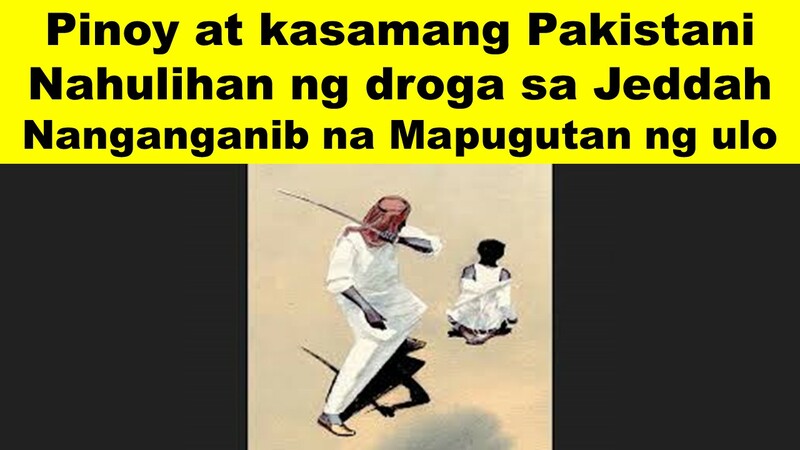 The move is surprising since just over six months ago, the DOLE and POEA are saying the opposite, the plan to ban or reduce the number of HSWs to be sent to the Middle East. This is in light of the recent abuses committed against Filipino HSWs that went viral in social media sites. The POEA governing board (GB) issued its Resolution No. 3 (series of 2017) increasing the number of Philippine Recruitment Agencies (PRA) that a foreign agency (FRAs) in Arab countries could partner with, according to Labor Undersecretary and POEA OIC Bernard Olalia. This raises the partnership limit from two to five. Under POEA’s regulation, foreign agencies could hire a maximum of 100 Filipinos HSWs for each of their partner PRAs. The previous limit of Filipino HSW hires for each foreign agency was 200. This will be increased to 500 Household Service Workers. “We have to increase the accreditation so we could deploy more Filipino workers,” Olalia said. The new policy is a response to the growing demand for HSWs in the last two years. “If you compare 2015 with 2016, for sure the number of deployed [OFWs] increased from 1.8 million in 2015, it went to as high as 2.1-million OFWs,” Olalia said. “The biggest chunk of these deployed OFWs are HSWs followed by health workers and then semiskilled professionals,” he added. According to the latest available data from POEA’s website, deployment of Filipino HSWs grew by 7.51 percent to 194, 835 in 2015 from 181,224 in 2014. The 2016 deployment data is yet to become available in the same site. This increase comes even after the many reported and unreported incidents of physical, emotional, sexual and psychological abuse of household service workers, most of whom are women. Labor Secretary and POEA Governing Board Chairperson Silvestre Bello III, pointed out that only FRAs, which are compliant with POEA regulations would be granted with the new privilege. “We are okay with this as long as they protect our Filipino workers,” Bello said in a previous interview. This development is worrisome as there is really very little assurance that foreign nor local agencies are providing protection for Filipino HSWs. Almost every week, we see videos and posts of HSWs asking for help or assistance.